If you’re looking for a friendly, prompt and professional team to install your standby generator in Rye NH or a surrounding NH Seacoast Area, we would love to be that team! Since we are based in Southern Maine, we are able to handle everything about your Seacoast generator installation including site visit, quote, planning, installation, financing, and even service after your installation is complete. You will be very happy with our service, as are all of our other NH generator customers! We will build the platform, help you plan your fuel line, help you determine how much backup power you need and which circuits you’d like to power in the event of a power outage emergency, and we’ll also obtain the permits and set you up with local contractors who can help you dig the trench for the fuel line! NEED STANDBY POWER GENERATOR INSTALLATION ON THE NH SEACOAST? WE’RE YOUR PEOPLE! Forget filling that silly portable generator… what a pain! Don’t worry about those upcoming winter storms, don’t freak out about power outages. 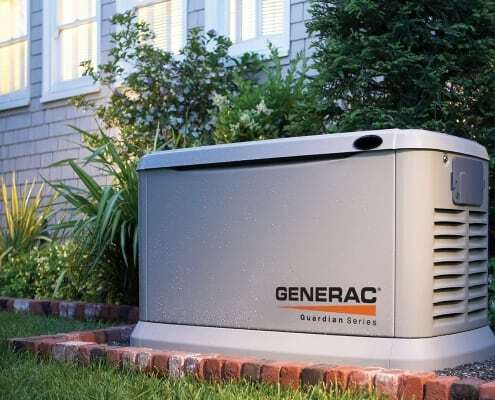 Having a backup home generator in NH is the absolute best way to go, to protect your home, your family, and yourself from power outages. Shut off the weather channel and enjoy some peace of mind!